This is the third part of my take on the results of the Virginia’s General Election (November 7, 2017). Here are the two previous posts. What is important to Christians? We want to help each other go to Heaven, to be with Jesus. The election? Doesn’t much matter, but we are suppose vote to protect our neighbors rights. Unfortunately, whatever they thought they were doing, instead of voting to protect their neighbor’s rights, too many voted to make their they neighbors do something. Consider what other Christian blogs have to say about the state of the world. NOTE: When I link to these blogs, that does not mean they either agree or disagree with my posts. I am recommending their post(s). Defy Gravity (familyfoundation.org) looks squarely at the results. What was the real change? Why is this sort of thing happening? Why is there so much turmoil and chaos in America? (altruistico.wordpress.com) pinpoints the problem. Yet are the results of the last election the end of the world? No. THE BEGINNING OF BIRTH PAINS (atimetoshare.me) reminds us that we have no idea when the end will occur. Our job is to trust in God. I totally repent…. (insanitybytes2.wordpress.com) reminds us to be content in the strength and power of our Savior. Still, we have a problem. As bits and pieces (cookiecrumbstoliveby.wordpress.com), A New Definition Of Hate (kingdompastor.wordpress.com), More poisonous rage in Texas (thenakedtruth2.wordpress.com), and Does religion actually poison everything? (melwild.wordpress.com), the world can be exceedingly hostile. As Turning point (cookiecrumbstoliveby.wordpress.com) and WHEN HARVARD REJECTED THE MESSENGER (citizentom.com) point out, even the best of our modern Christian counselors must struggle against the hostility of the world to be heard and given a thoughtful hearing. As The Interruption (lifereference.wordpress.com) points out, we have a difficult time accepting the teachings of Christ. Yet we must Remember God Resists The Proud (thewayonline.wordpress.com). As two men did when Jesus was Travelling on the Roman Road (lifereference.wordpress.com), we must beg God to give us eyes to see and and follow Him when He does. As John 11:28-34 (truthinpalmyra.wordpress.com) explains, we must trust our Lord. As The First Letter of John (jessicahof.wordpress.com) explains, we must love God and each other. Consider a couple of questions. What is Heaven? What is Hell? None of us actually know. None of us has visited either place and returned to tell of what we learned. So based upon what we know of the teachings of the Bible, we speculate. Here is a good example. The allegory of the long spoons is a parable that shows the difference between heaven and hell by means of people forced to eat with long spoons. It is attributed to Rabbi Haim of Romshishok, as well as other sources. I don’t know anything about about the author of the blog, but The Parable of the Long Spoons at Triumph of the Spirit captures the allegory of the long spoons without extraneous details. So what does the story teach us? Heaven is a place where people love each other and God gratefully, and Hell is a place where people want and never have their wants satisfied. 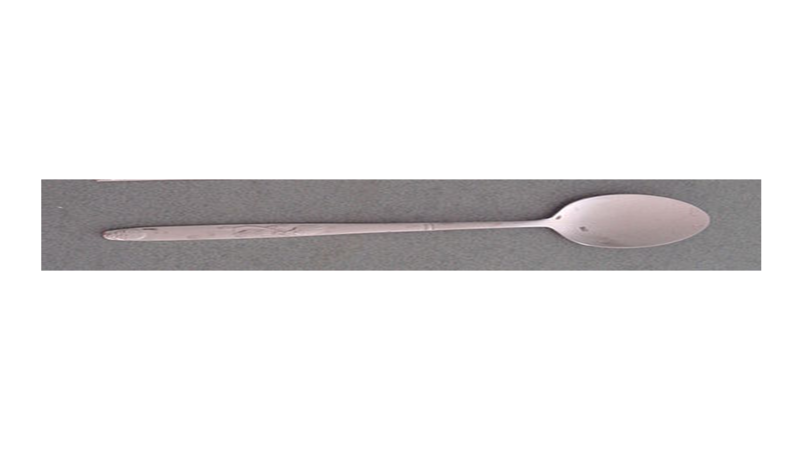 If our vote is our “long spoon”, then we are not making very good use of it. Instead of loving our neighbors with our vote, too many of us try to use our vote satisfy our wants. Wisdom teaches that is an exercise in futility. What will part 4 be about? Most Christians think we need a revival to save our nation? What would that involve? We are not Europe or the European Union. We are the “United States”. We have a centralized government that handles immigration law and policy, hopefully within practical limits, but also within our highest values. It is not a black and white issue (ora brown and white one either) despite all the fear mongering. It is a complex problem that requires expertise beyond either of us, and yes, compromise. However, as Christians, our model is The Good Samaritan of the New Testament, not the tribalism of the Old Testament. If Christianity were indeed just d a tribal religion, if it were even still around, it would be a small obscure sect of Judaism. Sorry, not taking the partisan fear baiting. When we start characterizing desperate humans “rats” and “roaches” you have have already proven my point. Do you see what is happening in Europe in countries with liberal immigration policies? This is an old game you like to play. Instead of reading what I wrote, you ascribe to me something else, usually some extreme ideology, and then you try to shoot that straw man down. I am not an ideologue about multiculturalism or against multiculturalism. Couldn’t care less. Suppose I characterized your belief in WASP cultural superiority as Fascism, and then asked for you to defend Fascism? Now there might be a little truth in that statement, but it would be mostly untrue, wouldn’t it? What I wrote is just not that extreme or controversial. What I wrote was that, if there is anything “superior” about American “culture” (a tough word to define ) it is our traditions, many of them influenced by the best of Christian ethics, of openness, welcoming, pluralism and egalitarianism. When you argue for an American “cultural superiority” that excludes and is not adoptive within these basic ideals, you are the one going against what is indeed most exceptional about our best American traditions, not me. I can lenjoy Ethiopian food, speak Spanish and practice Yoga, and still be very much an American if I cling to these most important American ideals. On the other hand, I can be as WASPish as the folks who came in on the Mayflower, but if I don’t believe in pluralism, then I am not very American, am I? You could not care less. Then what is your problem with this post? If people believe Christianity is better and that the United States is better, why argue about it? Why use the public school system teaching otherwise? Can those who believe in Christianity and think our government is the best enjoy other cultures and like people from other cultures? Yes. Not sure what your asking. My first comment above offered an alternative explanation to what happened in the Virginia election. As for your multiculturalism bugaboos it is just another stupid argument like the stupid argument of pure collectivism verses pure individualism. Americans don’t want to live in either nightmare state. It’s a made up argument designed to provoke a siege mentality both on the right and the left. No one wants to live in the Tower of Babel and America is far to diverse to become Iceland. Instead of echoing these silly horror stories to each other here, why not figure out what has always united us as Americans and as Christians: concepts like tolerance, egalitarianism and pluralism. Are we Christians under siege because we think we’re better than everyone else? That’s just more fear mongering nonsense. And besides, there is something that defies Christian humility in hammering people over the head with our superiority. “They will know we are Christians by our love”, not our smugness. Christianity is only really threatened when we stop acting like open hearted Christians and start holing up in panicked echo chambers like we are afraid all the time and in need of having those silly fears reassured constantly by the right and left wing media and each other. You are speaking out of three different sides of your mouth. 1. You deny you care about multiculturalism. 3. You accuse me of baseless fears. Multiculturalism is one of many kooky ideological beliefs promoted by the Democratic Party. Democrats have gone out of their way, for example, to deliberately encourage immigration from countries that don’t even like us. There is a time and place for diversity, but diversity for the sake of diversity is just dumb. Our homes, for example, are places for our family to live. From time to time we have had pets. We have even been blessed by visits by friends and neighbors. Still, we try to keep out rats, roaches, termites, ants, squirrels, birds, and so forth. If there is no good reason for some critter or person to be in our homes, we try to keep them out. Well, at least we do if we are not a Democrat politician. Then we try to make our neighbors accept unwanted “guests”. Anon makes an interesting point about white supremacy. While white supremacy may or may not be on the rise, the concept of “cultural supremacy” is definitely on the rise around the world. Unfortunately, cultural supremacy, when it really means the supremacy of our WASP heritage, is often just a dog whistle for what is ultimately white supremacy. Don’t get me wrong. I happen to think that there is much that is superior about American institutions and traditions, but they have to do with openness and acceptance rather than exclusivity. Besides, with regard to our best cultural qualities, our cake was not done baking in the 18th Century, and it is not done baking today. There is still much we have to learn from other cultures. Side note: Got the message you left on the phone. Thank you. Hope you are enjoying your vacation, which I guess is the beginning of your retirement. As I argued in an earlier post in this series (https://citizentom.com/2017/11/09/hindsight-isnt-20-20-part-2/), what people believe makes a difference. Doesn’t what you believe make a difference in your behavior? If not, then you are just a creature driven by your wants. To a great extent, that is what we mean by a dumb animal. Well, you are not a dumb animal. You believe something, but so do other people. Other people, not just you and those who believe what you believe have the right to live by their beliefs. If others believe their culture, especially their religious beliefs, are superior, then so long as they don’t interfere with the rights of others, those people have the right to exercise their beliefs. You, however, appear to disagree. You think believing in superiority in the belief of one belief over others is a form of bigotry you call cultural supremacy. What you are describing is what we call multiculturalism. Multiculturalism is part of your religious belief and what you think is a superior belief. Multiculturalism is a superior belief? So paradoxically, in order to be a multiculturalist, you have to be a bigoted cultural supremacist. Multiculturalism is, after all, popular in this country. Effectively, multiculturalism is a cultural belief that is part of the cultural indoctrination provided largely by our public school system. How someone as bright as you falls for such nonsense as multiculturalism is beyond my understanding. If I can see through such illogical nonsense, then I would have thought you would be even more capable. Over half a decade ago our sisters insisted upon propagandizing me, saving me from my bigotry, I suppose. So I wrote this post (here => https://citizentom.com/2009/03/11/dismount-your-donkey-at-the-summit/) based upon an email exchange with our older sister sent me. Make certain you read “The Myth of Tolerance”. In fact, instead of just assuming that all beliefs are equally valid (therefore, equally wrong), we should all be seeking the best beliefs, and some people do that. That is why it is not uncommon for people to convert to what they think is a better belief, and that too is something we have the right to do. Anyway, about a decade ago I decided the Bible tells us about the true path to salvation. So I suppose in your eyes that makes me a bigot. Have you considered what it means to be a Christian in some parts of the world? In Roman times Christians were considered intolerant. Whereas the Romans were happy to believe in many gods, even the gods of the people they conquered, Christians would only believe in one God. 13 And who is he who will harm you if you become followers of what is good? 14 But even if you should suffer for righteousness’ sake, you are blessed. “And do not be afraid of their threats, nor be troubled.” 15 But sanctify the Lord God in your hearts, and always be ready to give a defense to everyone who asks you a reason for the hope that is in you, with meekness and fear; 16 having a good conscience, that when they defame you as evildoers, those who revile your good conduct in Christ may be ashamed. 17 For it is better, if it is the will of God, to suffer for doing good than for doing evil. That is my point exactly. The Democratic Party is a political party who has candidates that I vote for on occasion. (I have voted for Republican candidates on occasion as well). The Democratic Party is not my “tribe”. Neither is Christianity my tribe. In fact, everything that I have learned about Christianity in a lifetime of being a Christiani is that it is a God inspired universality that transcends race, ethnicity, political government, culture, and all other forms of tribalism. It no doubt influences those identities, but it is beyond all of them. In fact, such tribalism that works to exclude from the group rather than to welcome is antithetical to Christian universalism. It is an idolatry of tribe over God. If Christianity were indeed so small as political parties and cultures, then it would have never spread around the world as it did. Tribe, faction, political party,… Don’t really care what you call it. The candidate you are voting advocates and tries to accomplish certain things, which may or may not be the same things. Some people do talk out of both sides of their mouth. Nonetheless, it is those those things that the Democratic Party and its candidates wish to impose that I have talked about. It is the need to stand for certain Christian principles I have talked about. Do we form into factions to accomplish our political objectives? Do the news media report the accomplishments of those factions as if our political parties are sports teams and the leading politicians are star players? Yes. Nonetheless, unless it is the majority you worship (the largest faction), I think you can address what I said without talking about tribalism. Limited government is not about tribalism; it is about protecting the individual’s rights to life, liberty and the pursuit of happiness. The issue is ethical. The problem is getting enough people to agree we need to respect each others rights. It you want to call that a tribe of people, what makes the principle that tribe stands for any less true? If we set ethics aside and just try to get “our” own way, then forcing others to adopt “our” ways requires an organized factional/tribal entity capable of exerting sufficient force. Perhaps that is why you are concerned about this subject. Socialism requires such an entity, and the things that entity stand for have to be opposed. Does it matter how a people organizes to oppose evil so long as they do not organize immorally? BTW I am not a Political Party. I am just me. Do you really want to defend everything that every Republican has ever done? That is putting partisan “tribalism” over far more important things that we hold in common. Funny you should say that. Please keep that in mind when the party of slavery and Jim Crow wants to tear down monuments to the likes our nation’s founders and Confederate soldiers. Now that’s clearly being judgmental. Since a political party represents the consensus of a large number of people, it should be relatively easy to defend. Can you defend the platform the Democratic Party gave H. Clinton to run on? An individual carries much more baggage; we each cannot pretend to be just a platform without a history. Hence, I cannot defend everything anybody except Jesus has done and said, and He does not need my help. Nevertheless, because I support Trump and think Clinton (based purely upon what I know of her CONDUCT) belongs in jail, some people seem to think I am supposed to do that plus prove I am not in a thousands ways a bigot. Because I support Trump? Because I am a Republican? Because I stand with the Tea Party? Or just because you just don’t like the fact I don’t think Democrats should be abusing the power of government? If you cannot make the case to deprive your neighbor of a choice he would otherwise have if the government did not interfere, what is wrong with letting your neighbor choose for himself? Instead of name calling, what is wrong with sticking to the merits of the argument? Meanwhile, such posture as being to pure and perfect to need to prove anything. After all, they are for love. What they do is for the children, abused women, the poor, the old, minorities, and victims of any sort. I was looking for a place to put this a while back (since the topics had kind of moved on it didn’t seem pertinent to new threads). Here is a poll that asks if the Confederate monuments should be removed (breaks it down by political ideologies, race, and so forth). Page 9. The majority (to include African Americans) in most every category either think they should remain, or are “unsure”. I must admit I don’t think we should take polls too seriously, and I doubt you do. They have become manufactured news. Too hard to get people to answer them anymore. I am also skeptical of anything associated with NPR/PBS. They are on the taxpayer dole. No news organization that is funded that way can be trusted. Nevertheless, we all like to see a poll which confirms what we believe. Given the effort to make those monuments an issue, it is revealing that most people still want them. Propaganda has its limits, I suppose. Yet consider. The poll includes this question. From what you have heard or seen about each of the following do you mostly agree or mostly disagree with their beliefs: Black Lives Matter? Some time back I went to the Black Lives Matter web site. Those people are so radical few Americans would agree with them, but most don’t what they stand for. It is like the millennials who cannot define Socialism or Communism but still support one or both. What that illustrates is ignorance, not an informed opinion. Ultimately, I think that is the most common discovery of any accurate poll. One of the reasons I advocate limited government is because I think we are too stupid and ignorant to run each others lives. For example, what is the best argument against capital punishment? Judges, lawyers, and juries are just people, and none of us are wise. Liberal Democrats seem to enjoy thinking of themselves as in the vanguard, representing the interests of the ignorant masses. I must admit to being one of those ignorant masses, and I don’t think those in the vanguard know what they are doing. As far as I can see, they are just prideful busybodies who are just as ignorant as the rest of us. Worst, perhaps because they actually think they know more than they do. Agreed, I don’t take polls terribly seriously either. And I too am “skeptical of anything associated with NPR/PBS”. In this particular case though, the fact it is an NPR?PBS poll is the most interesting thing of all….if there is a “slant” to it, it would be in the liberal side’s favor. And, still, the majority of folks (even within the minority communities) don’t want to see them taken down according to this, likely liberally-biased, poll. I also thought it was noteworthy the poll (pg 12) shows the amount of support for the white supremacists, page 13 the nationalists, page 19 the KKK. Support for these movements is extremely, extremely low. Support is as low among the white population as it is in the black population. that white nationalism is a very tiny movement, even as more and more people have become convinced by the DNC that it’s a gigantic and important social force.